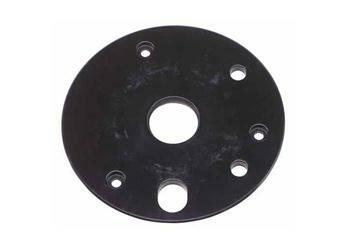 This high-strength sub-base fits Milwaukee BodyGrip® (series 5615 and 5616) and D-handle (series 5619) routers. The industry standard 1-3/16 in. center hole pattern accepts Milwaukee template guides as well as other popular lock-nut style template guides for pattern routing. Includes one sub-base.